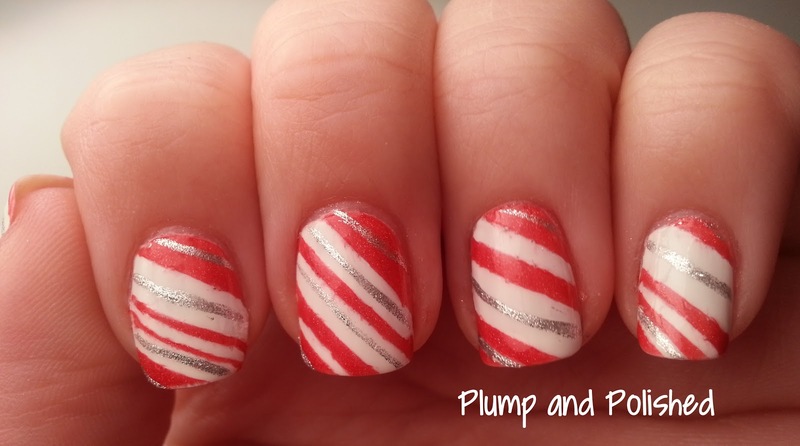 Candy canes sound pretty simple, right? WRONG. I hated doing these. 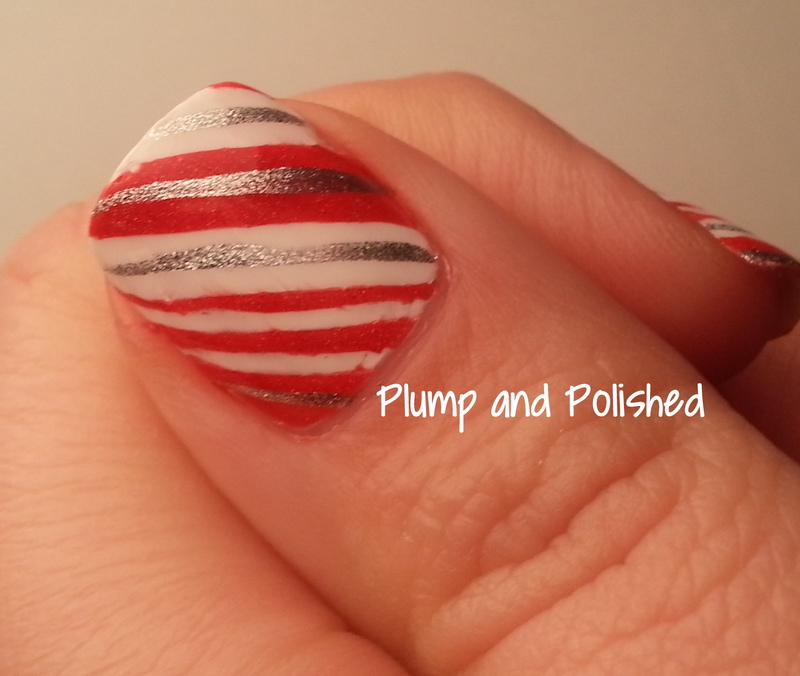 I think it was just my striping tape that didn't agree with the red holo jelly I used for this look. I'm not sure what I did wrong, but it was a pain. I used WNW White Creme as a base and Hits Ares for the candy stripes. For some reason, the jelly formula of Ares didn't work well for this look. 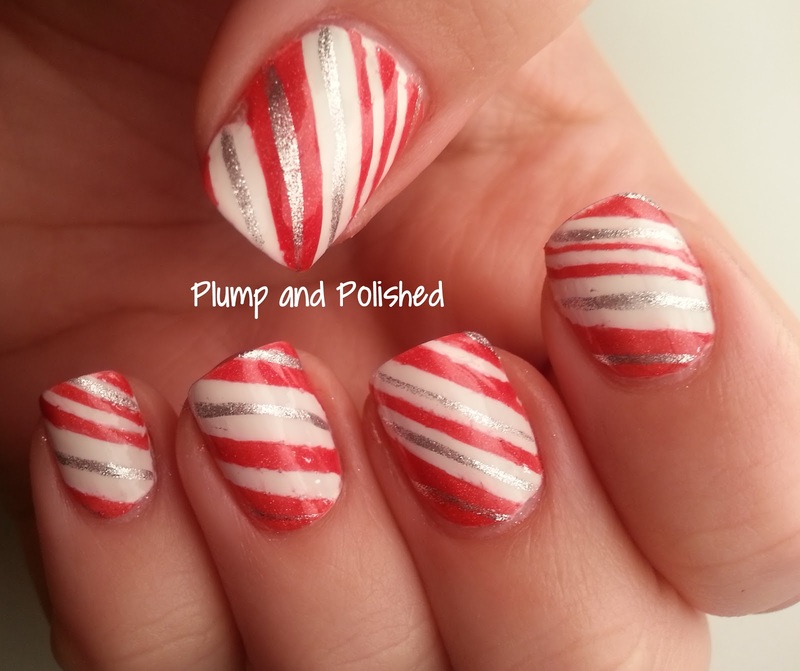 For the silver, I just used a simple striper from Sally's. My thumb turned out to be my favorite. It's the only one that looked how I imagined before I started this. This is a look I won't be trying to duplicate. It was a nightmare. I think this was my fifth and final attempt. I was just fed up at this point. 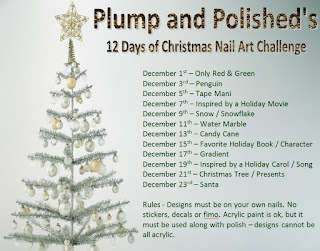 What's your latest nail art fail?